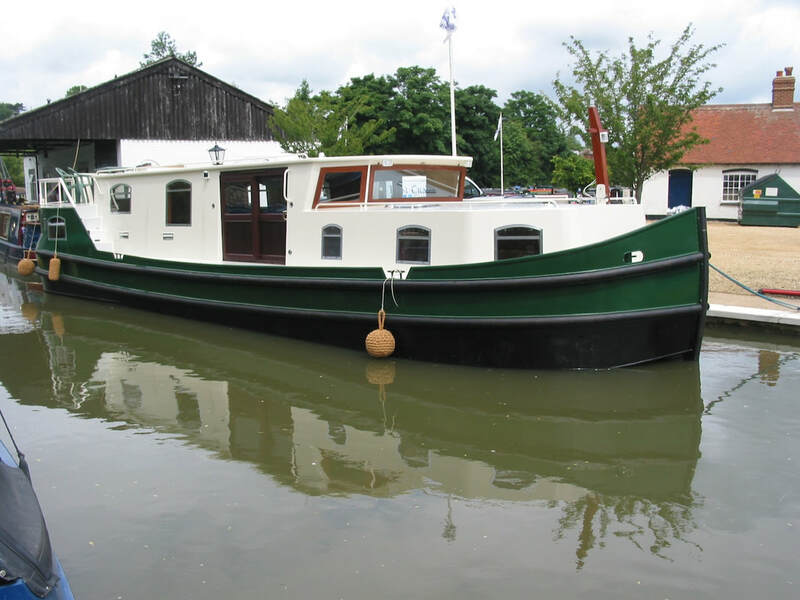 From 15.5 to 20 metres x 4.25 metres for wide beam cruising UK and Europe with seagoing capability the Europa 51 is a barge to RCD C Category. Just one of a quality steel barges and wide beam barges that we can offer. Nominal draft 90cm to 1.1 metres depending on requirements. 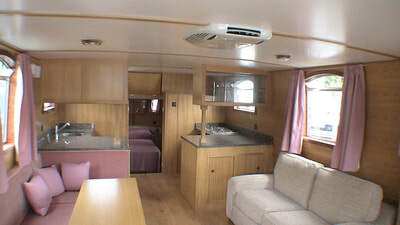 Nominal air draft is 2.7 metres with the sun canopy down. 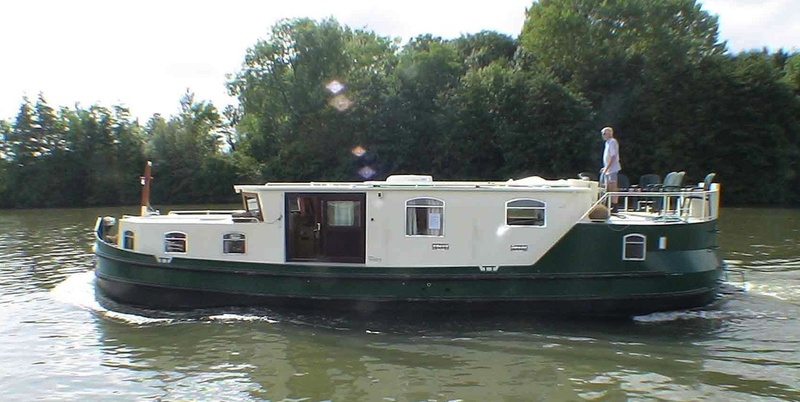 The Peter Nicholls Europa 51 steel sea going barge is a useful alternative to a Dutch Barge. The design has masses of room, helped by the 4.5 metres beam and the fact that virtually all the length of the boat is used for accommodation. This is because this centre wheelhouse barge uses the wheelhouse, to double as the saloon and galley area. There is a second steering position, outside on the raised stern deck , which sits over the second double cabin. The forward double cabin with storage drawers, wardrobes, king size double bed with interior sprung mattress, dressing table provides the ideal space for the master cabin. 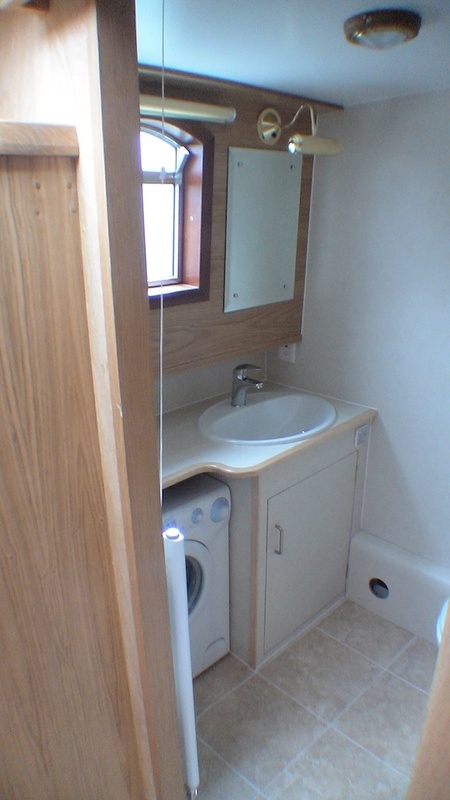 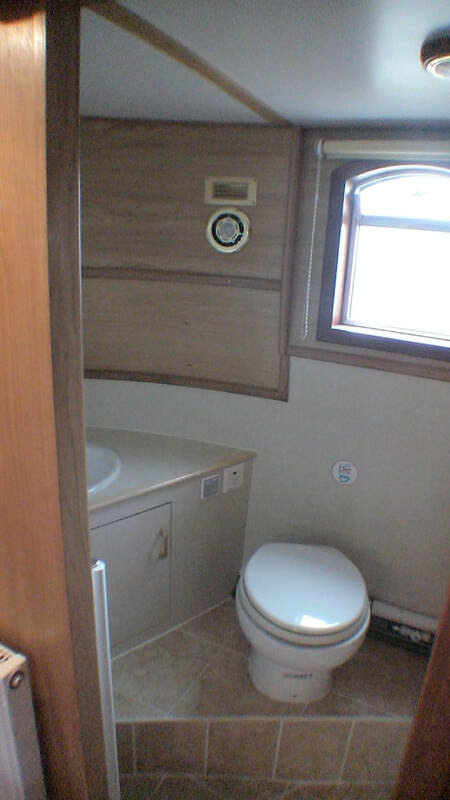 An en-suite cabin with shower and basin, electric WC and to holding tank, washing machine. 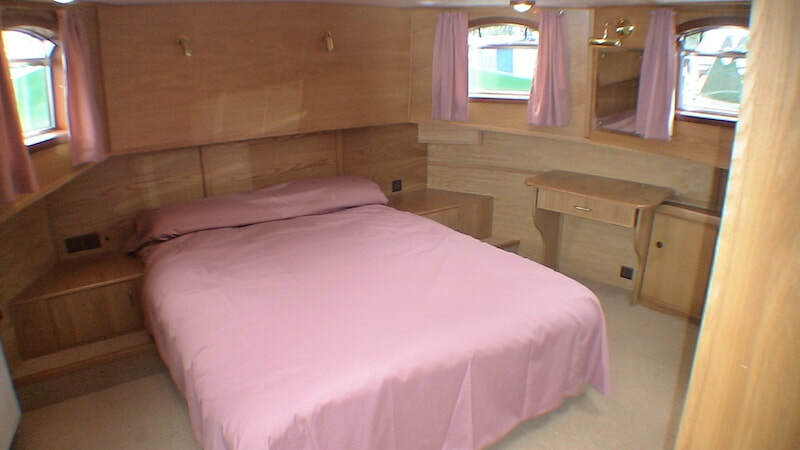 Both double cabins in the Europa are en-suite and there is extra sleeping accommodation in the saloon. 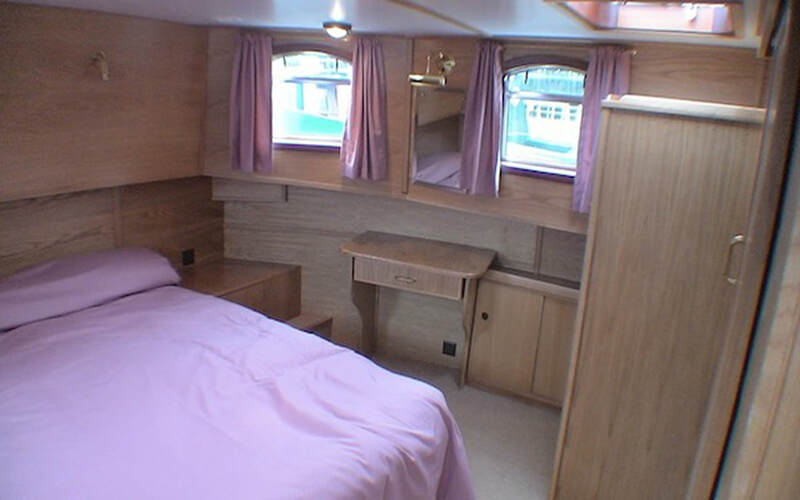 The Europa bow cabin provides an excellent master suite for the Captain. 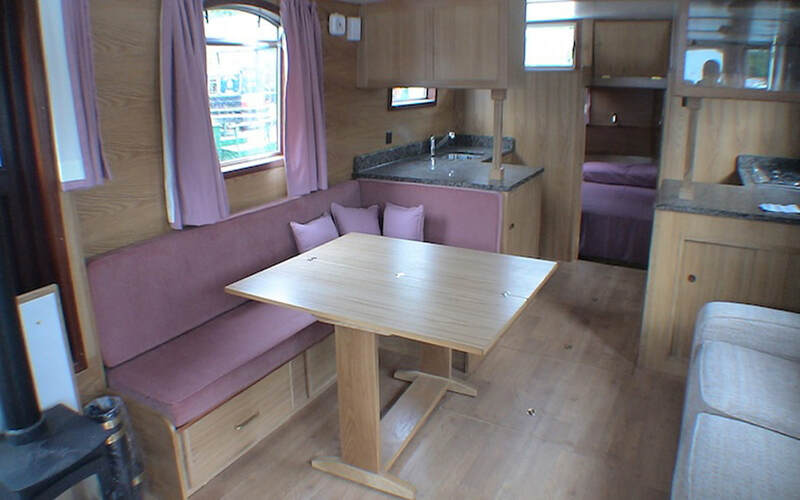 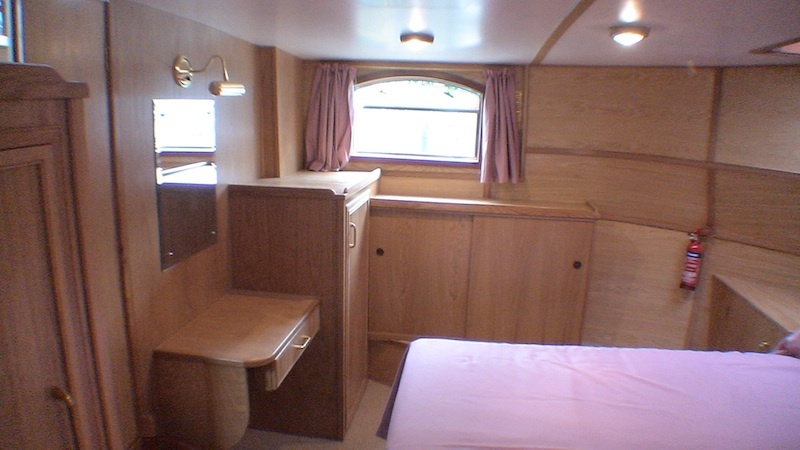 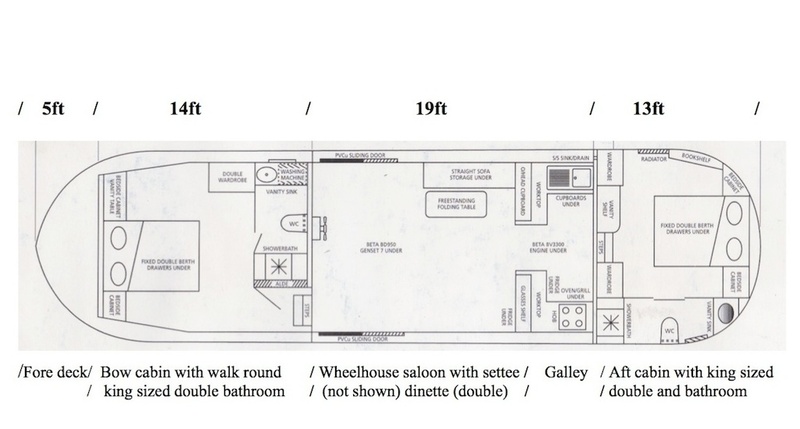 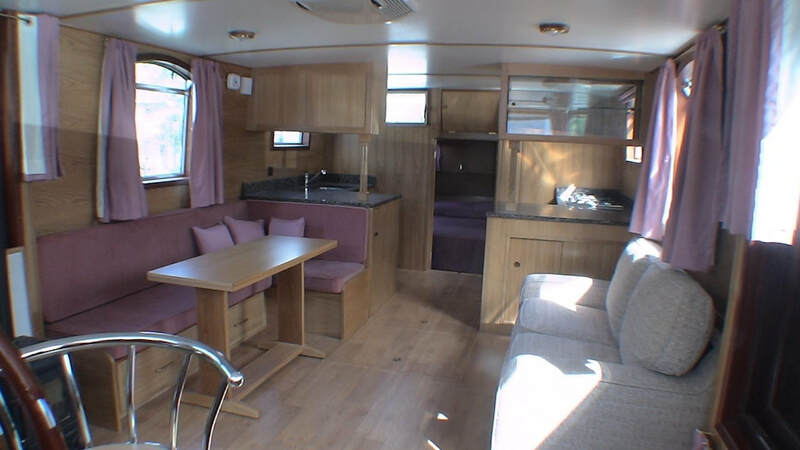 Wheelhouse saloon with large floor area, settee (could be bed settee) and L shaped settee/diner which converts to a double berth. 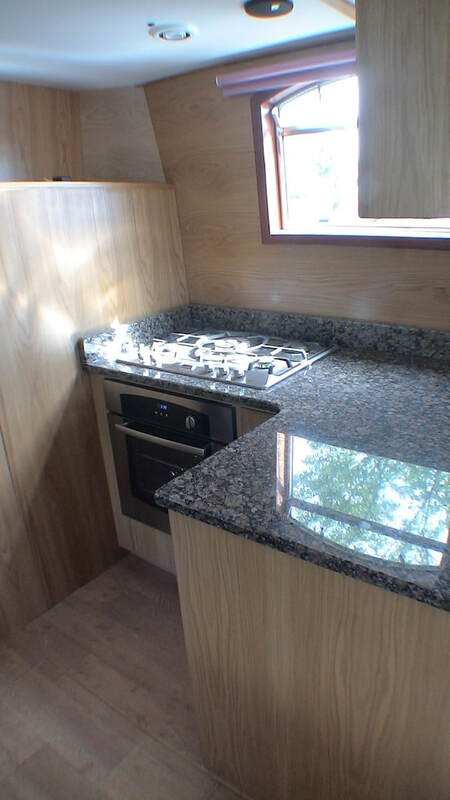 Galley with 4 burner hob and oven , fridge/freezer, microwave and granite worktops. 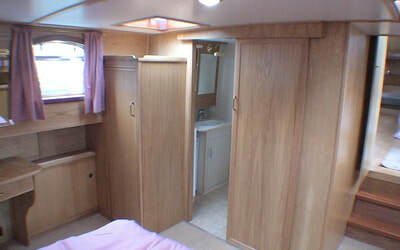 The second double cabin with king size double with interior sprung mattresses, wardrobes and drawers and dressing table. 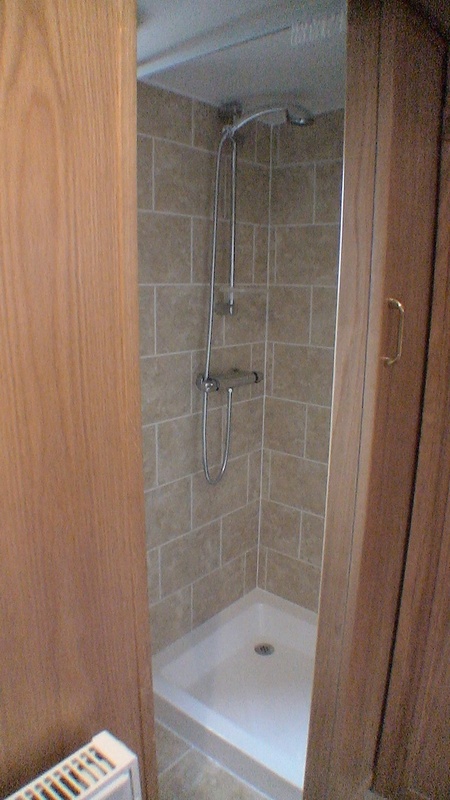 En suite with shower, basin and electric flushing WC. 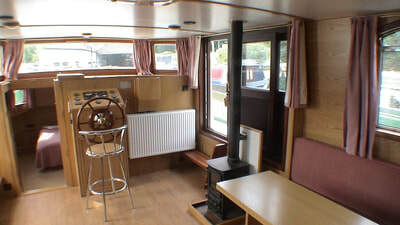 Sliding doors either side of the wheelhouse/saloon lead to the side decks and up onto the stern deck with second steering position and fold down sun canopy. 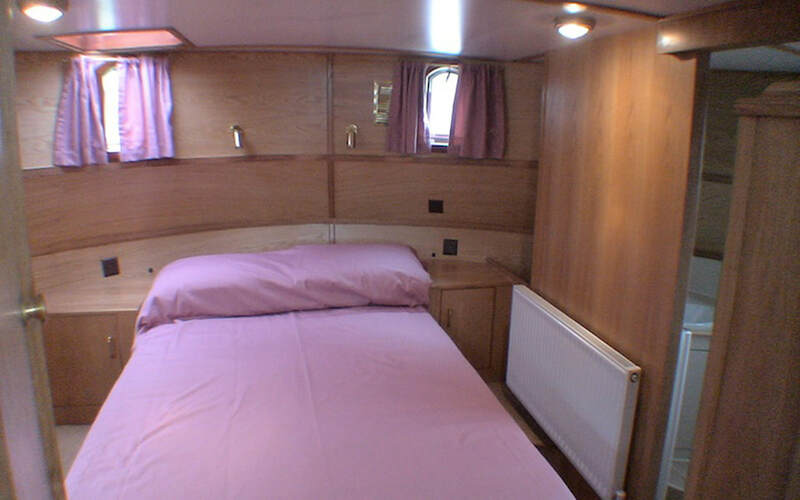 Nominal air draft with the sun canopy down is only 2.7 metres. 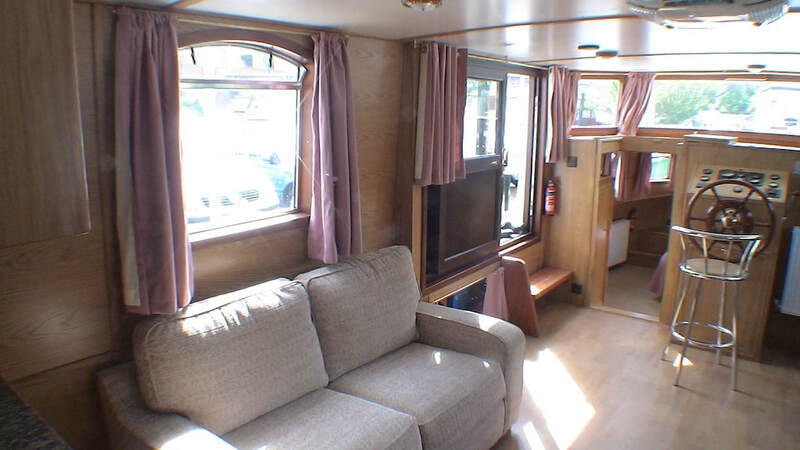 The windows are partially double glazed. 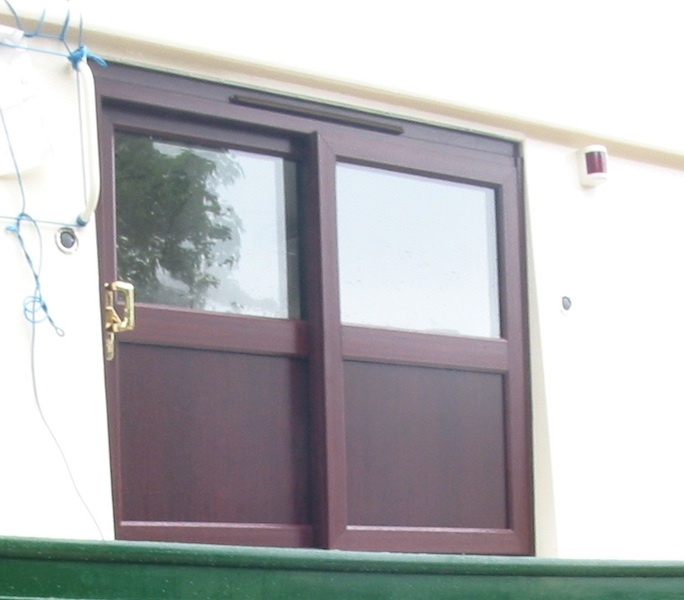 Due to improvements by our window manufacturer, double glazing to all windows can now be offered as an option. The Europa is available up to 20 metres x 4.5 metres. 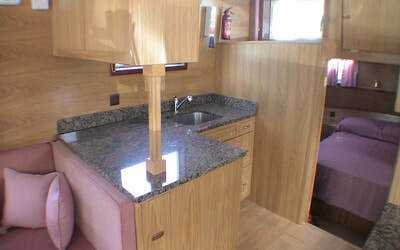 Please click here for a side view and brief details.